Jimi Hendrix is the legend of the world’s hard rock, singer, composer, and virtuoso guitar player. He is the part of the rock star constellation: in the list of 50 greatest musicians, his name is included together with Bob Dylan, Elvis Presley, Mick Jagger, Bob Marley, and others. 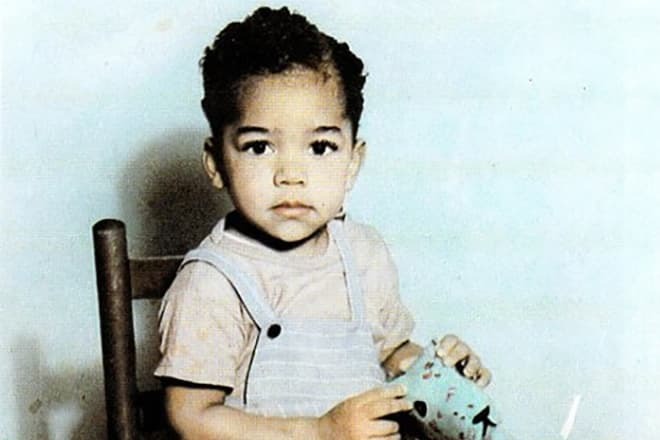 Jimi Hendrix (Johnny Allen Hendrix) was born on November 27, 1942, in Seattle, Washington, US. When the boy was 9, his parents, the father Al Hendrix and the mother Lucille Jeter, divorced. In 1958, Jimi’s mother passed away, and the boy was brought up by his grandparents who were the actors of the Vancouver vaudeville. 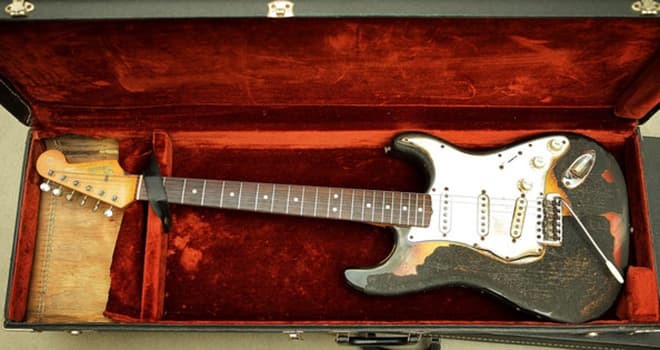 In his early youth, Hendrix purchased a guitar and played all day long or listened to the music of B.B. King, Robert Johnson, and Elmore James. He never finished school. Young Jimi was a hooligan; he got to prison for 2 years for a car theft. In the course of time, his lawyer managed to change the sentence and remove Hendrix from prison to the army for 2 years. Still, the young man demobilized soon because of an injury. In the army, Jimi was often accused of indiscipline and unreliability. Once, Keith Richards’s friend Linda Keith saw the group performing; she was overwhelmed by the musician’s playing. She could not believe that such a master was not famous. 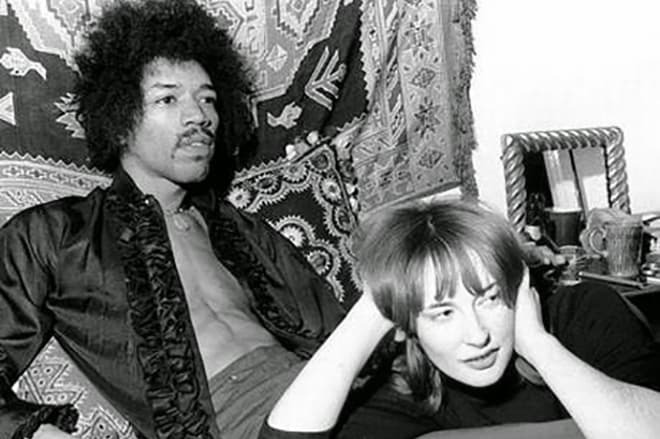 The young woman invited Hendrix to the producer Chas Chandler; soon, the contract was signed, and the new group “The Jimi Hendrix Experience” with the bass guitar player Noel Redding and drummer Mitch Mitchell came into being. The agreement with Chas implied Hendrix should move to England. In addition to all the advantages the new place gave, Jimi Hendrix wanted to meet Eric Clapton. Chandler replied that Eric would invite Jimi himself after he heard Hendrix playing. Music critics and fans named the debuting album “Are You Experienced” the most successful in rock music. After the album was released, Jimi Hendrix became a real star. In Britain, only the album of “The Beatles” surpassed “Are You Experienced.” In the British version, the song from the American album “Purple Haze” was not included; this song topped the lists of 100 greatest guitar hits according to the magazines “Q” and “Rolling Stone.” This song is considered the hymn of hippies. In 2003, the channel VH1 put “Are You Experienced” on the fifth position in the list of the greatest albums in the history. “Axis: Bold as Love” was the group’s second album in the romantic-psychedelic genre. The new work demonstrated Hendrix was a musician who had formed his unique style. The song “Bold as Love” from this album remains the perfectу example of the musician’s virtuoso guitar solo. 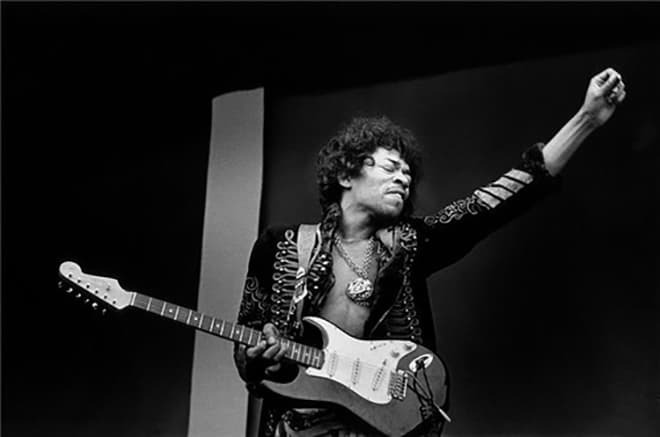 It was possible that the album would not come out: right before the materials should be turned in, Jimi lost the original of the first part of the recording. Thus, it was necessary to collect the master-recording from the recordings of the separate music parts. Jimi Hendrix and the group "The Jimi Hendrix Experience"
In spring 1968, the work on the third album “Electric Ladyland” began in New York. The whole process was long because there were also concerts to perform. 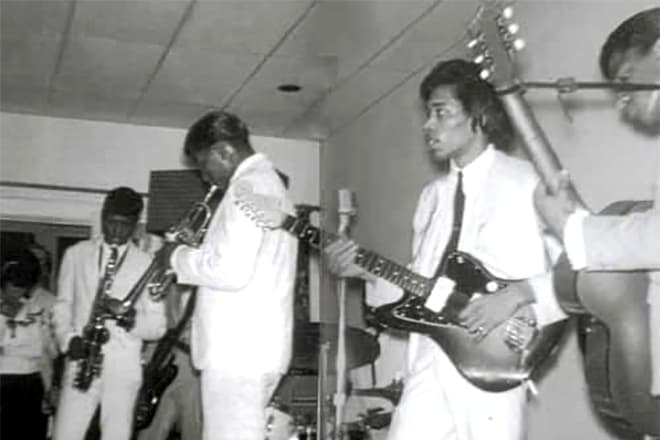 Hendrix wanted to reach perfection in recordings, made new doubles over and over, and invited guest musicians. The result was beyond everybody’s expectations: in the first week, the album became golden. 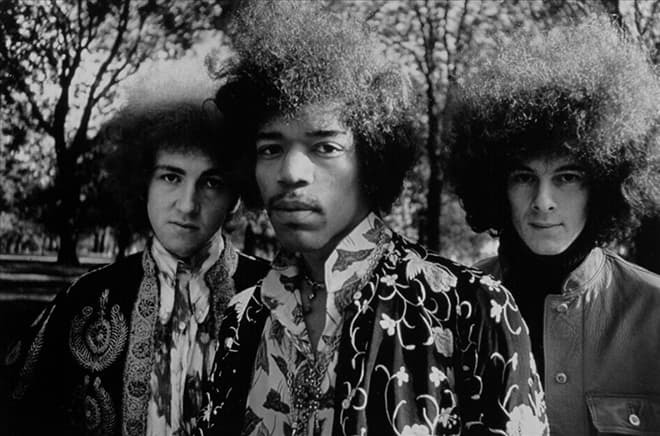 After the third album release, “The Jimi Hendrix Experience” was one of the most popular groups in the world. Apart from their new songs, “The Jimi Hendrix Experience” performed the song “Hey, Joe” that had been known long before the iconic musician played it; however, it became globally popular only with Hendrix. The song’s tune is simple, as well as the lyrics: it is the story of a loser husband who murdered his unfaithful wife and fled to Mexico. At that time, however, the Vietnam War was taking place, and Lyndon B. Johnson was the President of the US. People remade “Hey, Joe” lyrics, addressed the president, and accused him of soldiers’ deaths in Vietnam. The covers of this song are still played by musicians who work in various music genres. VH1 put the song on the 21st place among hard rock hits; it is also included in 500 greatest songs according to “Rolling Stone.” David Gilmour, “Deep Purple,” Gary Moore, Joe Cocker, and others. Besides, Jimi Hendrix stood out due to his extraordinary clothing style; all fashion lovers of the world watched him. His image was not similar to that of a typical rock musician: no wrinkled jeans, dirty T-shirts, or long scruffy hair. He preferred acid-colored shirts with psychedelic prints, a few top buttons undone, and turned-up collars. Hendrix wore vintage vests and military jackets with various epaulets and gallons belonging to real troops. He could tie bright bandanas and scarfs on his arm or leg. Gaudy jewelry and the permanent round-shaped locket on the neck were the musician’s trademarks. 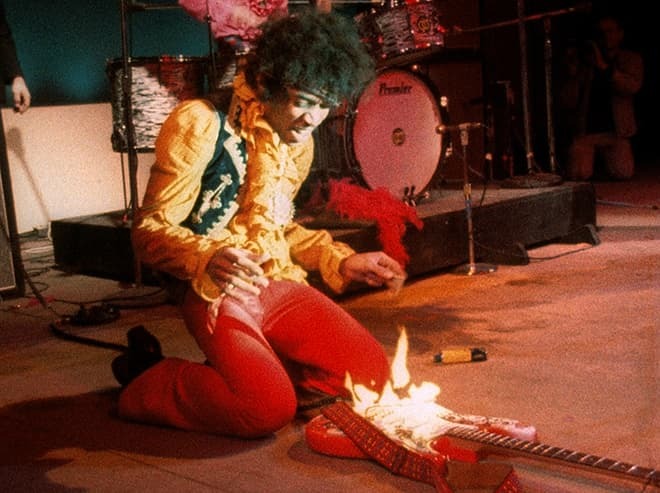 The photo of Jimi Hendrix kneeling before his burning guitar, his hands in the air, became iconic in the history of rock. Hendrix got hospitalized with burns to his arms. 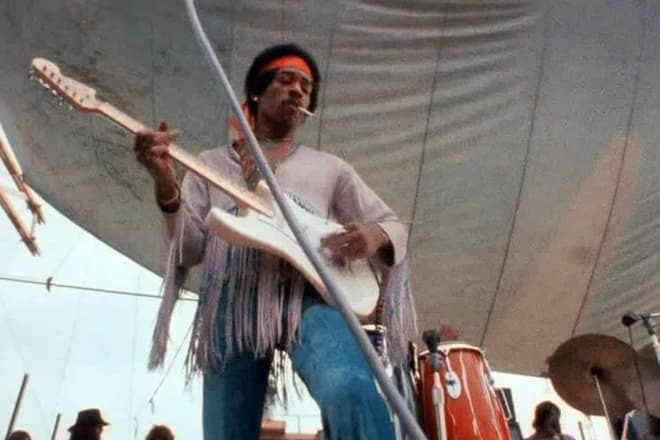 The show at the Woodstock festival in August 1969 is considered Jimi Hendrix’s best concert performance. The USSR was also influenced by Jimi Hendrix’s popularity. In 1973, the first Russian psychedelic album “Cherry Garden of Jimi Hendrix” was recorded on tape by Yuri Morozov, Sergey Luzin, and Nina Morozova and came out. In 1975, the album was released in vinyl; there were only 500 copies. The rock musician’s private life was less interesting to his fans than his music career: there is very little information about Hendrix’s love affairs. Monika Dannemann, the last person who saw the musician alive, was the only confirmed girlfriend of the musician. At the end of August 1970, Jimi Hendrix performed at the British festival “Isle of Wight” for the last time. On September 6, he played 13 songs and was given a cold shower at the festival “Isle of Fehmarn.” Jimi did not leave London until the last day. 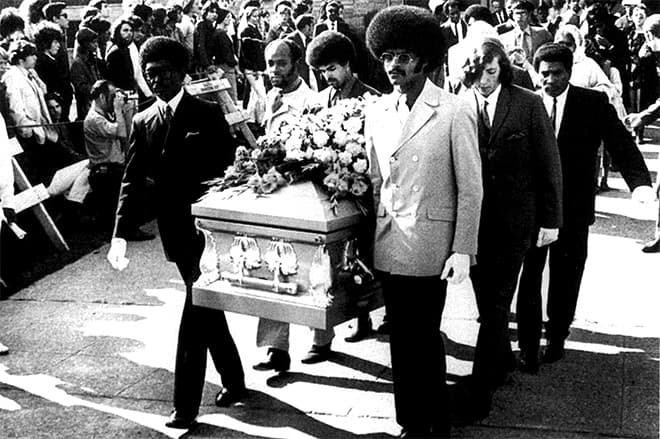 On September 18, 1970, in the morning, Jimi Hendrix was taken by the ambulance from the hotel “Samarkand.” According to the doctor, Hendrix was dead by the time the ambulance arrived. The autopsy results demonstrated that the musician died in his bed because he was overdosed on sleeping pills and choked by his vomit. According to Monika, she hesitated to call the ambulance because she was afraid to be taken by the police: there were drugs in the couple’s room. Jimi Hendrix died when he was just 27. He was buried in Greenwood Memorial Park in Renton, Washington. The musician himself wanted to be buried in England. On September 18, 2010, the world premiere of the documentary biography “Jimi Hendrix: Voodoo Child” by Bob Smeaton was released. The concert recordings, family archives and correspondence, photos, and drawings were used there. 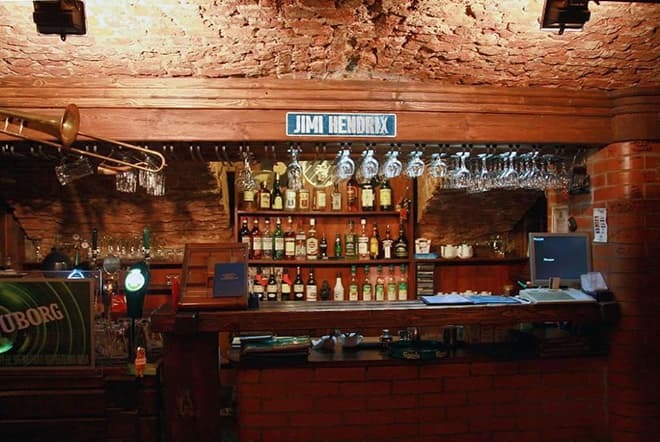 There are jazz and blues clubs named after Hendrix in many cities and towns; visitors can listen to live music there. On September 7, 2013, the movie “Jimi: All Is by My Side” by John Ridley was presented at the Toronto International Film Festival. The movie tells the story of Jimi Hendrix’s (André Benjamin) early career and shows how the first album “Are You Experienced” came out. 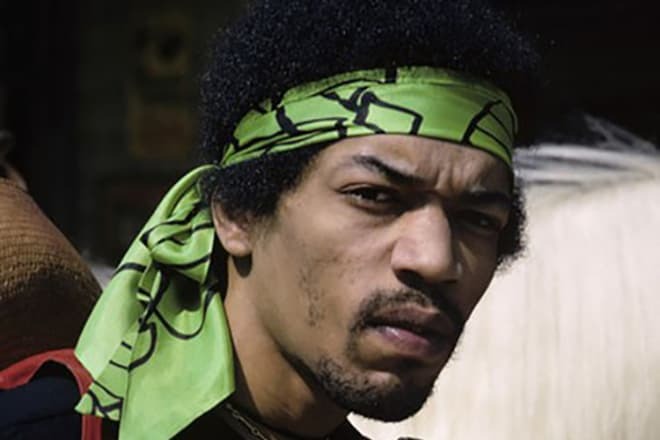 According to “Rolling Stone,” the music part of the movie was not strong because Hendrix’s relatives who possessed the rights on his artistic heritage did not allow to play Jimi’s songs in the movie and demanded the company Experience Hendrix LLC that represented their interests should participate in the project. Thus, other song writers’ works were included.